A well-publicized, world-class event can inspire fashion for years. At least that’s the case with the 1893 World’s Columbian Exposition in Chicago, which showcased cutting-edge classical buildings that architects around the country emulated in their own residential and commercial designs. The Neoclassical style remained popular through the 1950s in incarnations from one-story cottages to multilevel manses. Its identifying Ionic or Corinthian columned porches often extend the full height of the house. Also typical: symmetrical facades, elaborate, decorative designs above and around doorways, and roof-line balustrades (low parapet walls). Befitting a king–in fact, the style is named for four King Georges of England–Georgian homes are refined and symmetrical with paired chimneys and a decorative crown over the front door. 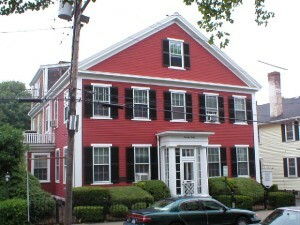 Modeled after the more elaborate homes of England, the Georgian style dominated the British colonies in the 1700s. Most surviving Georgians sport side-gabled roofs, are two to three stories high, and are constructed in brick. Georgian homes almost always feature an orderly row of five windows across the second story. Modern-day builders often combine features of the refined Georgian style with decorative flourishes from the more formal Federal style. 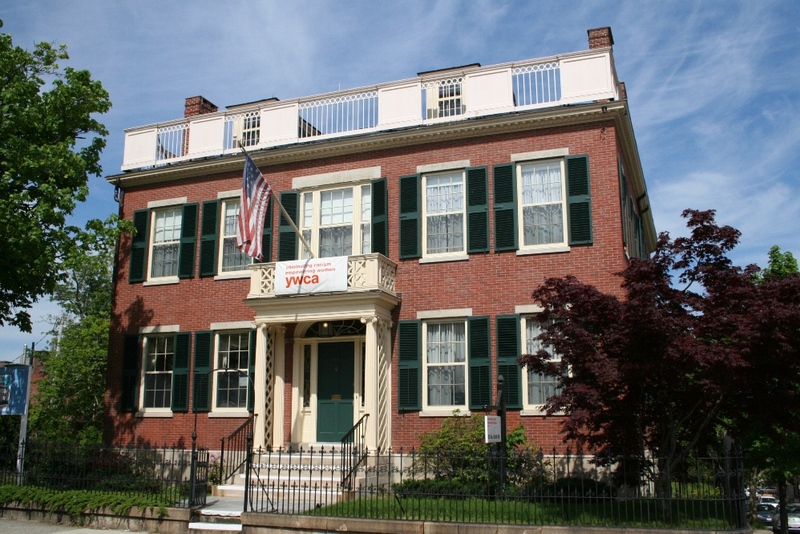 Ubiquitous up and down the East Coast, Federal-style architecture dates from the late 1700s and coincided with a reawakening of interest in classical Greek and Roman culture. Builders began to add swags, garlands, elliptical windows, and other decorative details to rectangular Georgian houses. The style that emerged resembles Georgian, but is more delicate and more formal. Many Federal-style homes have an arched Palladian window on the second story above the front door. The front door usually has sidelights and a semicircular fanlight. 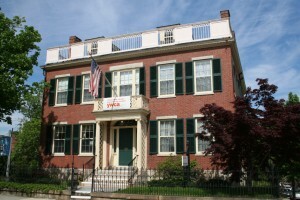 Federal-style homes are often called “Adam” after the English brothers who popularized the style. This style is predominantly found in the Midwest, South, New England, and Mid-Atlantic regions, though you may spot subtypes in parts of California. Its popularity in the 1800s stemmed from archeological findings of the time, indicating that the Grecians had spawned Roman culture. American architects also favored the style for political reasons: the War of 1812 cast England in an unfavorable light; and public sentiment favored the Greeks in their war for independence in the 1820s. Identify the style by its entry, full-height, or full-building width porches, entryway columns sized in scale to the porch type, and a front door surrounded by narrow rectangular windows. Roofs are generally gabled or hipped. Roof cornices sport a wide trim. The front-gable found in one subtype became a common feature in Midwestern and Northeastern residential architecture well into the 20th century. The townhouse variation is made up of narrow, urban homes that don’t always feature porches. Look for townhouses in Boston, Galveston, Texas, Mobile, Ala., New York, Philadelphia, Richmond, VA., and Savannah, GA. Although they borrow from the Georgian’s classic lines, Regency homes eschew ornamentation. They are symmetrical, two or three stories, and usually built in brick. Typically, they feature an octagonal window over the front door, one chimney at the side of the house, double-hung windows, and a hip roof. They often have curved bow fronts and narrow high windows with iron They’ve been built in the United States since the early 1800s. Most common in the Southwest and Florida, Spanish-style architecture takes its cues from the missions of the early Spanish missionaries–such as the one at San Juan Capistrano in California–and includes details from the Moorish, Byzantine, Gothic, and Renaissance architectural styles. 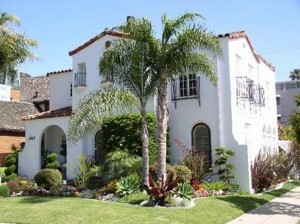 The houses usually have low-pitched tiled roofs, white stucco walls, and rounded windows and doors. Other elements may include scalloped windows and balconies with elaborate grillwork, decorative tiles around doorways and windows, and a bell tower or two.